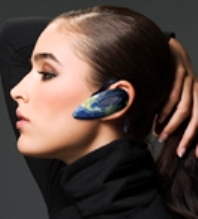 I’m sure there are many Coolest Gadget readers who can’t live unless there is a Bluetooth headset attached to your ear. I’m sure that you have noticed a few problems that come attached to them, like mild discomfort and bad reception. Fortunately, Ditech is on the job and worked to improve Bluetooth headsets with VQABlue solution. VQABlue is software available to headsets, and the user does not have to increase the memory of his or her headset for it. VQABlue also improves the dual-microphone design, and now users can wear headsets in a way that is most comfortable to them. That means no more fiddling around with the headset until the caller actually has to be uncomfortable to hear his or her calls. Ditech has also created “bi-directional algorithms” which can actually improve voice quality on both ends of the call. Many of the audio improvements on headsets today can improve the quality on the other end of the call, but not the sound for the caller. Other dynamic features include Adaptive Noise Cancellation, Acoustic Echo Control, Enhanced Voice Intelligibility, and Adaptive Listener Enhancement. VQABlue is available directly from Ditech, and can be downloaded from CSR’s website as a plug-in. As for the price, you can send an email to info@ditechnetworks.com or call 1-800-234-0884.